This beautiful tea garden is founded by Mark Ukra known as "Dr. 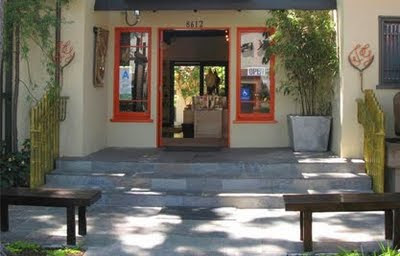 Tea" & located at 8612 Melrose Ave. (formerly known as Elixir). 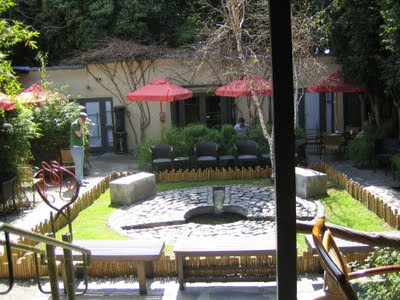 The Tea Garden offers its trademark premium teas, high end tonics; an expert staffed Chinese Herb bar, a tranquil bamboo garden, airy veranda, Empress Room and an exclusive VIP Sanctuary. 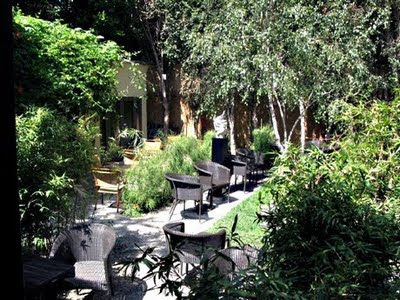 Perfect place to just relax under the bamboos, leave the stress & negative energies of the big city outside of the door & enjoy a nice chinese herbal tonics. Some people even meditates there! 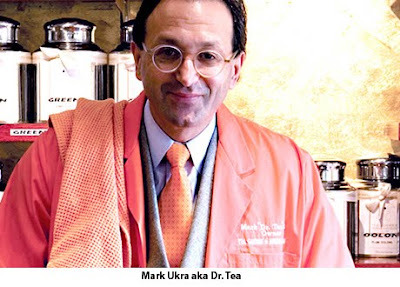 Mark Ukra's family has been in the tea business for over 200 years. For nearly two decades, Dr. Tea has traveled the world to pursue his studies of tea and is considered to be a leading authority on the subject. Being a connoisseur of fine foods, wines, tobacco and most of all, teas, Ukra began to purchase rare teas at auctions and meet with fellow enthusiasts during his world travels. 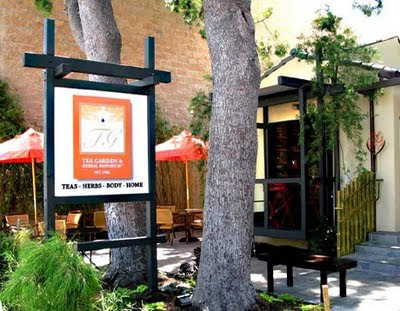 As his passion grew, he began looking to establish a place for teaching and learning about teas in Los Angeles. Ukra purchased the Tea Garden & Herbal Emporium nearly two years ago. 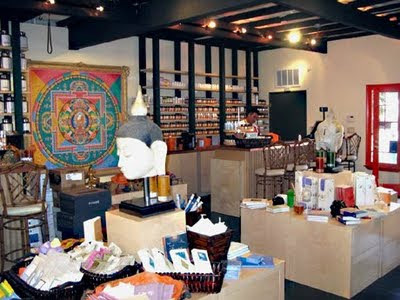 The Tea Garden & Herbal Emporium was founded in 1988 to provide the world with the finest quality of Asian herbs and it is dedicated to the teachings of guidance towards the integration of the Body, Mind and Soul. Recently, new owners, Julie Jackson Ukra and Mark "Dr. Tea" Ukra, along with Executive Director Ann Patton, have greatly improved and expanded the Tea Garden's line of products and services. Of critical note is the upgrade to the finest quality Superior Chinese Herbs and a Tea menu that has been recognized as the finest in the United States. Professionally trained and educated herbalists, who have graduated from some of the most renowned Chinese Medical colleges, staff the Tea Garden & Herbal Emporium. The experienced herbalists have been with the Tea Garden & Herbal Emporium for many years and are available for consultations, by phone or in person. Their goal is to help clients select the correct herbs to meet personal good health standards for well-being. Additionally, the staff includes experts who provide specialized services and classes on Meditation, Feng Shui, Numerology, Self Esteem, Psychiatry, Massage and Tai Chi/Personal Training. Green Tea - Boosts the immune system, lowers blood sugar, helps prevent cavities and tooth decay, slows aging process, reduces risk of cancer,lowers cholesterol, aids in weight loss by burning calories, reduces high blood pressure, helps prevent arthritis, reduces risk of heart disease, reduces risk of stroke, and lowers risk of blood clots. Black Tea - Promotes blood flow to the brain, sharpens mental focus and concentration, serves as a soothing anti-inflammatory effects on digestive tract, strengthens tooth enamel, helps prevent tooth decay, lowers cholesterol levels, improves circulation, and relieves diarrhea. Oolong Tea - lowers cholesterol, reduces heart disease, aids digestion, lowers risk of cancer, contains large amounts of anti-oxidants, beneficial for immune system. White tea is the highest tea in anti-oxidant value, retards growth of bacteria, naturally rejuvenates collagen in skin, firms the skin, and reduces risk of colon, stomach and prostate cancer. Click on the video player below to see Dr. Tea in action! 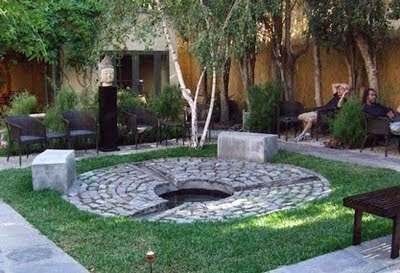 "Tea 101"
Here is the address of this fabulous Zen tea garden, It's a must visit place next time you're in LA! I am gonna go make myself a nice cup of Ooolong tea now, untill next time, go buy some teas and experience the magic & aroma of tea!